Today’s readings exalt the virtue of humility. 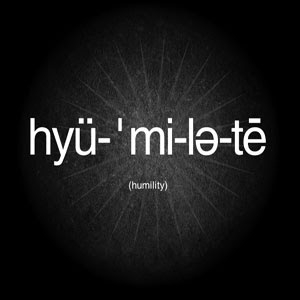 We all know that humility is a Christian virtue but many are often confused as to its meaning. Many people often believe humility means putting oneself down; in other words, being very critical of oneself, one’s talents and one’s achievements. Therefore, we often avoid speaking about our talents and gifts because we fear that this would be boasting. Other people would also criticize their own achievements. E.g. “my dishes are very simple, I’m not very good at cooking.” “I don’t really sing well. I don’t have a good voice.” “I cannot be a leader in this parish because I’m not holy enough.” The irony is this: whenever we put ourselves down, we actually expect others to praise us and our achievements. Such humility is called false humility. False humility is a disguise for pride. On the other hand, what Jesus is trying to tell is that we should not seek any reward, or praise, or thanks or honour for the things that we do. We should not look for positions of honour or for recognition of our achievements. Once we become addicted to praise and human recognition, we would then begin to do everything with a hidden motive. When we do not receive praise and thanks for the things that we do for others, we become hurt and angry. Humility is serving and giving without asking for anything in return. Humility is freedom from needing to please others. Humility is serving and giving for the glory of God and not for our own glory. Ultimately, what is most important is that we find favour with the Lord, as the first reading tells us. The humble man finds favour with the Lord, not because it is a form of reward, but because the humble man allows God to do what he himself cannot do. Humility calls for self-knowledge. We must recognize both our strengths and weaknesses. Every person is a mixture of both strengths and weaknesses. If we learn to accept both our strengths and weaknesses, we would then be much happier persons. Many people are not comfortable with their weaknesses. We either try to hide our weaknesses or try to criticize others so that we can look stronger. Humility is learning to live with both our weaknesses and strengths. In the same way, we must also recognize that everyone too have their own weaknesses and strengths. If everyone is equally strong, if no one has any weaknesses, we won’t need each other. God is truly wise to bring us all together – both weak and strong. We must always remember that no one can do everything. But everyone can do something. Humility is also a call to accept our neighbours as persons, indeed as brothers and sisters. Sometimes, we would only communicate with those who share common interests with us, those who speak the same language, those who have the same skin colour, those who are part of our race or status. Humility calls us to recognize everyone as valuable and deserving equal respect. We must not only respect the rich but also the poor. In fact, we may need to give more attention to the poor, the sick and the weak because they are in greater need than the rich, the healthy and the strong. Let us follow the example of Jesus, the Humble One – he who was Son of God humbled himself to become man, and even humbler still to become a servant of all. If we want to be called Christians, we must be prepared to follow Christ on the way of humility. For we believe, that it is there we will find favour with God.